Gut flora is the popular, and rather more poetic, way of describing the trillions of bacteria and other microorganisms that live in the human digestive tract. Although research is in the early stages, no one even knows the identity let alone the function of many of the bacteria, some surprising facts are known about the great benefits many of these organisms grant us. While most of us have a healthy population of beneficial bacteria, we all have potentially pathogenic organisms also living in our intestines and elsewhere in and on our bodies. The trick is to maintain a balance of primarily beneficial bacteria in order to enjoy all the health benefits they provide us. So what do they do anyway? Not only do they aid in digestion, they stimulate immune functioning, prevent the overgrowth of harmful bacteria and fungus, and may even prevent allergies. Without our gut bacteria, we would have to eat more food to gain the same number of calories. This is because the bacteria help break down and release the energy (calories) found in certain carbohydrates that our bodies cannot digest. In addition to processing carbohydrates, they produce Vitamin K as well as certain B vitamins, and researchers believe they also help the body absorb these vitamins. A healthy gut flora also aids in the absorption of vital minerals including calcium, magnesium and iron. A recent laboratory study using rats suggests that a healthy gut flora may reduce the risk of obesity. Researchers found that rats with an unhealthy balance of gut flora were much more prone to obesity given the same diet as rats with more beneficial bacteria in their intestines. If similar findings are discovered for humans, this could have a significant impact on human health, as obesity is reaching epidemic proportions in much of the developed world. One of the most important functions the beneficial bacteria grant, is to keep the pathogenic microorganisms in check. Although the mechanisms of this aren’t fully understood, many believe it is a combination of simply blocking the growth of pathogenic populations as well as creating an intestinal environment that is hostile to the disease causing bacteria and fungi. We do know that beneficial bacteria interact with the immune system, increasing the numbers of T-cells and possibly producing natural antibiotics and antifungals. 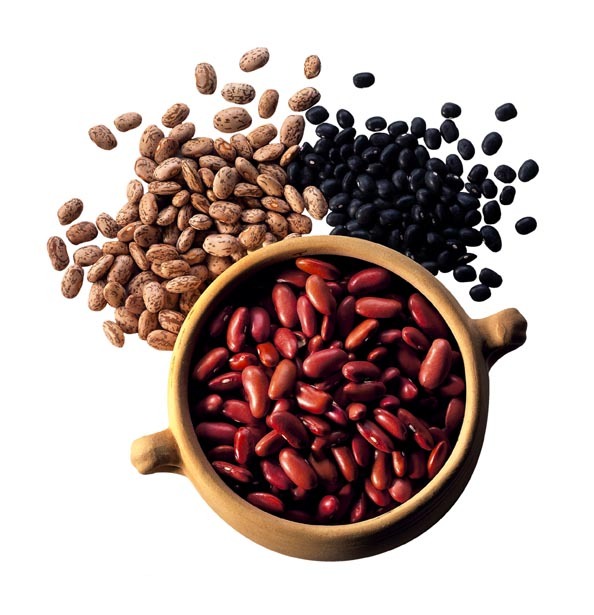 Some believe they may even help protect the colon from tumors and cancer. How do humans get bacteria in their gut anyway? Current studies show that the developing fetus has no bacteria, beneficial or harmful, in their gut. They receive their initial exposure during birth and within just days are populated by bacteria, primarily derived from the birth canal of the mother. Babies who are born by caesarean section do get some bacteria from the mother, but may get more from their early environment including the hospital staff and other infants. The gut flora changes over time, and by the time the infant is a toddler, their gut flora resembles that of adults, providing all the same benefits. Various things including stress, poor diet and antibiotics can throw the balance off in the gut. Antibiotics kill not only disease causing bacteria, but beneficial ones as well. Have you ever noticed that people are more prone to yeast infections after taking antibiotics? This is because the population of good bacteria has been greatly reduced allowing pathogens to flourish. Eating fermented foods helps restore the good bacteria. These foods include yogurt and kefir as well as sauerkraut and the spicy fermented Korean cabbage favorite, kimchi. Grace Pamer is a work from home mom and the author of www.RomanticFrugalMom.com, one woman’s ongoing quest to keep romance alive despite modern day time pressures. Check out her love letters for her section if you need help writing a love letter to your nearest and dearest because of a hectic schedule. 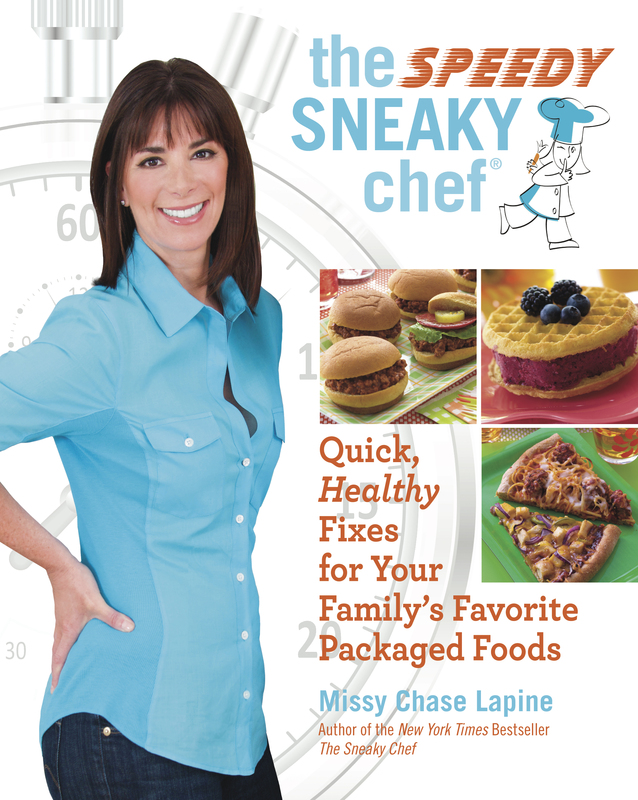 Missy Chase Lapine, AKA The Sneaky Chef, learned about Indian candy salmon on a trip to the Pacific Northwest. It usually requires a tedious 20-day process of curing and drying salmon so that it becomes a consistency similar to jerky, and is alleged to be the way Native Americans convinced their kids to eat salmon. For her version, the maple and brown sugar oatmeal packet adds a gently sweet taste that eliminates any fishy flavor. Heat a large skillet or indoor grill pan to medium and brush or spray with oil. In a mixing bowl, whisk the puree, egg whites, and wheat germ, then mix in the oatmeal and salmon until well combined. Using damp hands, shape mixture into 10 patties (about 1/4 cup sized each). At this point, the burgers may be prepared a day ahead and kept covered in the refrigerator, or frozen. If you are not freezing for future use, proceed to next steps. Spray both sides of the salmon burgers with oil and place them on the prepared grill pan or skillet. Cook for 4 to 5 minutes on each side, or until cooked through. Serve on whole grain buns with honey mustard and pickles, if desired. Makes 10 burgers (5 servings). Wild salmon is a concentrated food source of vitamin D (helps calcium absorption and essential for bone and immune health). However, research shows that farmed salmon has only a quarter as much vitamin D as wild salmon. Most canned salmon comes from wild salmon sources. PER SERVING: Calories 390; Total Fat 8g; Saturated Fat 0.7g; Trans Fat 0g; Cholesterol 28mg; Sodium 849mg; Carbohydrate 52.3g; Dietary Fiber 4.5g; Sugars 12.4g; Protein 29.8g; Vitamin A 28%; Vitamin C 1%; Calcium 12%; Iron 25%. Place the carrots and sweet potatoes in a medium-sized pot and cover with cold water. Bring to a boil and cook for about 20 minutes, until carrots are very tender. Careful—if the carrots aren’t tender enough, they may leave telltale little nuggets of vegetables in recipes, which will reveal their presence to your kids—a gigantic no-no for the Sneaky Chef. Drain the carrots and sweet potatoes and put them in the food processor with two tablespoons of water. 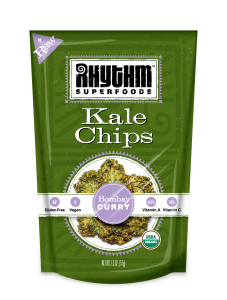 Puree on high until smooth—no pieces of vegetables showing. Stop occasionally to push the contents to the bottom. If necessary, use another tablespoon of water to smooth out the puree, but the less water, the better. This recipe makes about 2 cups of puree; double it if you want to store more. Orange Puree will keep in the refrigerator for up to 3 days, or you can freeze 1/4-cup portions in sealed plastic bags or small plastic containers. Makes about 2 cups of puree. Recipes reprinted with permission from THE SPEEDY SNEAKY CHEF © 2012 by Missy Chase Lapine, Running Press, a member of the Perseus Book Group. If you’re trying to make your house more eco-friendly, after doing a bit of research, you might think that you’ll need a series of online health administration degrees to even begin to be a success at it! 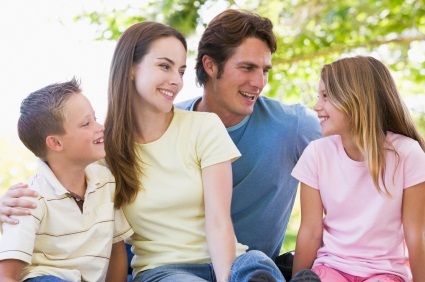 Indeed, when it comes to “going green” and educating your family to do the same, the amount of information available may seem a bit overwhelming. Here are five ways that can make the transition much more manageable. One place that every family spends a lot of time in is the kitchen. In order to make that room better for the environment, start with what you bring into it. Make it a point to buy more organic food and produce. This just means that you’re proactively looking for food with less preservatives, pesticides and additives. While shopping for these items, consider bringing a bag from home to put them in because even when it comes to holding groceries, plastic is definitely something that you want to use less of. While in the kitchen also keep in mind that plastic is extremely fat-soluble and so this increases the risk of meats and dairy becoming contaminated. Swap plastic containers out for ceramics and remember that you don’t really need that bottled water, either. A filter on your faucet will make the tap water just fine. Oh, and a compost system is a great idea too. It’s a highly-efficient way to reduce waste. There are some things that we use (and need) daily that we probably never think about when it comes to the threat that it may pose to the environment. Take a toothbrush, for instance. Being that our dentists recommend that we dispose of them every three months and being that our toothbrushes are made of plastic, just think of how many people live in the world and multiply that times four disposed toothbrushes per year per person. That is a lot of plastic, but there are actually such things as reusable toothbrushes (Greenerstep and Preserve are two brands that make them). All you do is replace the bristle head while keeping the handle. There are also one-hundred percent biodegradable floss brands like Eco-Dent. Also, another good way to stay clean while helping out the environment is using wool pads instead of wash cloths (cotton is a heavily-sprayed crop resource) and washing with natural soap like “Just Soap”, which is made with organic oils and (literally) bicycle power. You can also Google how to make your own soaps, shampoos and lotions from home. One debate is which came first: the chicken or the egg. Another popular one is which is best: laundry detergent or soap. When it comes to being eco-friendly while taking care better care of your health, the answer is definitely soap. Detergents are made from synthetics—chemicals that have proven to be toxic for ocean wildlife. If you live in a city where you have soft water, you can use soap flakes in your laundry. If not, there are natural clothes-washing brands like Gaiam that makes detergent from renewable materials. It’s also a good idea to keep in mind that cooler water makes it harder for soap or detergent to dissolve in; this means you will need more electricity (and product) to get your clothes clean. Wash in warm water and rinse in cooler temperatures. Try using oxygen bleach on your whites and opt for natural fabric softeners. These are made of vegetable-based materials and are fragrance free, which is great for protecting sensitive skin from rashes or irritation. Gaiam has some of those available too. Not only does taking your lunch help your budget, but it’s also good for the environment. There are dozens of ways to get creative when it comes to making lunchtime…greener. For one thing, rather than disposing of last night’s dinner, while not pack it up for lunch? If there was some leftover chicken, roast it and use it as sandwich meat. Make a concerted effort to buy organic fruits and vegetables and if you have a juicer, make your own carrot-apple-celery liquid combination. Take your lunch in a reusable container and rather than eating with plastic utensils, get some eco-friendly ones. GreenPaperProducts.com and Ego-Gecko.com are two companies that sell “go green” cutlery. Most of us spend about one-third of our lives in our bedrooms. We definitely should care about the quality of rest we’re getting and what we can do to make it even better for our environment as well as ourselves. For starters, if you’re looking for bedroom furniture, choose some that is made with renewable materials or refurbish a piece that you already have. If it’s time for a new mattress, purchase one that is made of organic materials. Wool and cotton are good options. Savvy Rest is a brand that makes mattresses out of latex. When it comes to bedding, look for sets made of organic cotton and while you’re sleeping, make sure that your air filters are clean, that you have a couple of air-filtering plants (English Ivy, Golden Pothos, Bamboo Palm, etc.) on your nightstands and that you keep your windows, at least cracked, for fresh air. A ceiling fan is a welcome addition to keep that air circulated and a rug made with natural fibers is a wonderful complement to any bedroom floor; especially if it’s bare. This vegetarian chili has a lot of ingredients but that’s what makes it special. It’s still easy to make and the perfect thing to serve at a sleepover or party or pack in a thermos for lunch at school. Begin by using a large, heavy-bottomed stockpot. When butter is melted and the oil is heated, sauté the onions and garlic until softened. Stir in celery and continue sautéing. Next add the bell pepper and sauté until peppers are soft. Add the carrots and continue sautéing. Next add in the diced tomatoes and tomato sauce. Stir in ground cumin, oregano, chili powder, Worcestershire sauce and Tamari soy sauce. Cover with a lid, lower the heat and simmer for 10 minutes, stirring occasionally. Finally, add the remaining ingredients (corn and beans) and continue cooking for about 10 minutes more, allowing all ingredients to blend. Stir in the cilantro and add salt and pepper if needed. It was a distinct pleasure getting to know the fascinating woman and green pioneer behind Redwood Hill Farm & Creamery, which has been a family-run business since 1968, before the green movement was even popular! 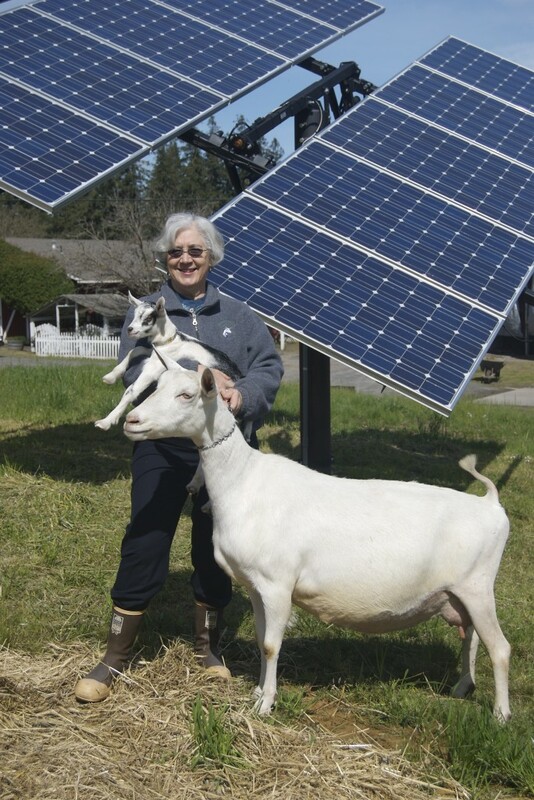 Pictured above holding one of her “kids” on the farm, Jennifer is shown standing in front of one of the many solar panels that are used to power her home, the farm and the creamery! What an inspiration to those who wish to offer more sustainable solutions in their business model and practice. Redwood Hill Farm & Creamery is an actual farm and a creamery producing all-natural, delicious and unique specialty dairy products that are also Certified Humane®. Goat milk products include artisan cheeses, award-winning yogurt and probiotic kefir. 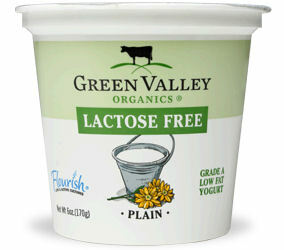 Lactose-free cow dairy products, under the Green Valley Organics name, include yogurt, kefir and sour cream. Located in Sonoma County, about 60 miles north of San Francisco, both the farm and creamery are solar powered. Owned by Jennifer Bice after starting with dairy goats in 4-H, now three of her siblings also work full time in the family business. With the science of climate change becoming more known all the time, I wanted to do anything I could to try to help and make a difference. Converting our farm, creamery and house to 100% solar was a big step. We also have installed two electric car-charging stations that operate from our solar system and both the business and I personally drive Prius cars. We are constantly trying to reduce our consumption of whatever and wherever we can, reuse where possible, and of course recycle extensively. We also use only 100% recycled paper in the office and use only 100% recycled and/or biodegradeable tasting supplies at demos and tradeshows. Getting into bed each night and sinking into my 100% organic cotton sheets…. Think about the big picture but do the little things that really add up. There are a lot of good ideas and articles out there to help get you thinking about how and what you can do. Everyone and every business can do things that will make a difference! Have you tried the Original Coffee-mate Natural Bliss, but wished for a lower-fat version of this all-natural creamer? Well, you are in luck, as a slimmer version has made its’ debut – new Coffee-mate Natural Bliss Low-fat! This smooth creamer is made with the same all-natural ingredients as the original line, but has 40% LESS calories per serving, 40% LESS sugar and is lower in fat (only 1 gram per serving). It’s now easier than ever to make healthy choices when adding flavor to your morning cup of java! This new low-fat creamer can be used in a variety of recipes in addition to your daily cup of coffee, including Vanilla Ricotta Crème with Fresh Berries. Yum! Available in creamy Vanilla, the new low-fat version is available in the dairy aisle of your local grocery store. Visit naturalbliss.coffee-mate.com. Tummy Troubles this Winter Season? There’s a Yogurt for That! While the promise of Spring is right around the corner, according to epidemiologists, we’re still right in the midst of peak winter illness season. For those of us with kids, this time of year is particularly likely to bring some unwelcome bugs into our home—often in the form of stomach flu (gastroenteritis) or strep throat. As you tend to your littlest patients—putting on a pot of chicken soup or filling their prescriptions for antibiotics—I might also suggest picking up some lactose-free yogurt as well. What do your child’s winter illnesses have to do with lactose-free yogurt, you might ask? Simple: it may be beneficial in lessening the severity or duration of diarrhea. Similarly, common childhood illnesses like strep throat are usually treated with a course of antibiotics. Since antibiotics don’t distinguish between the bad bacteria (strep) and the good bacteria (your friendly gut flora) in your body, the delicate balance of good guys and bad guys in the intestines may be upset. This often results in an unpleasant condition called antibiotic-associated diarrhea (AAD). Research studies have shown that certain probiotics can help shorten the duration and lessen the severity of antibiotic-associated diarrhea, particularly in children. Green Valley Organics’ lactose-free yogurts all contain the Flourish® blend of 10 different live & active probiotic strains—at least 3 of which* have been demonstrated in scientific studies to be effective in reducing the risk of developing antibiotic-associated diarrhea or lessening its severity! Eating one or two Green Valley Organics yogurts per day would be an easy and tasty way to help restore balance to a tummy that’s been thrown off-kilter by antibiotics—not to mention the fact that cool, smooth yogurt feels good going down a sore throat! And since it’s lactose-free, Green Valley Organics yogurt may also make digestion a bit easier until the diarrhea subsides. Whether you’re playing offense against a winter illness or playing defense to help keep your healthy digestive tract running smoothly, eating a probiotic-rich, lactose-free yogurt each day is a winning strategy. http://tinygreenmom.com/wp-content/uploads/2018/07/logo-sm.png 0 0 Tiny Green Mom http://tinygreenmom.com/wp-content/uploads/2018/07/logo-sm.png Tiny Green Mom2012-02-26 07:00:332012-02-26 13:48:48Tummy Troubles this Winter Season? There’s a Yogurt for That! Creamy and decadent, without all of the calories and fat – who can resist this delicious dessert?! Place ricotta cheese, yogurt, Coffee-mate and honey in blender; cover. Blend for 2 minutes or until completely smooth. 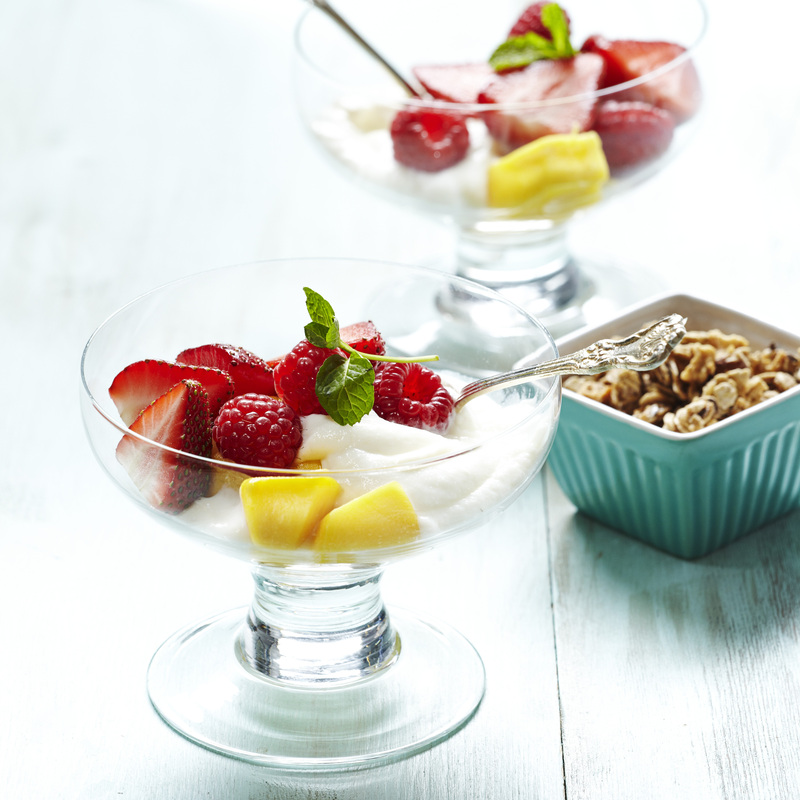 Spoon into individual bowls; top with berries. Sprinkle with granola.